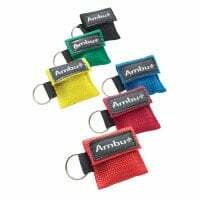 Our emergency services shop offers you a comprehensive assortment of products surrounding the themes of medical emergency equipment and emergency supplies. While you're here, take a look at our emergency bag configurator, with which you can individually fill to fit your needs. From resuscitators to AEDs and up to tracheal tubes, you will find all of the emergency supplies that you need. ▶ More on emergency equipment & supplies. 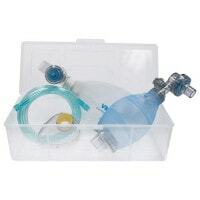 From valve masks and oxygen tanks to laryngoscopes and tracheal tubes - you will find everything for patient resuscitation in the artificial respiration and intubation category. 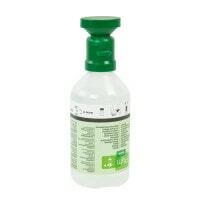 Here, you will find a large selection of high-quality medical equipment, like AEDs and accessories, for reanimation. Emergency bags and kits - either filled or empty. Use our new emergency bag configurator to assemble your own, personalised emergency bag. 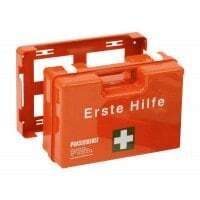 Here, you will find first aid products, as well as products for rescuing and transporting patients. 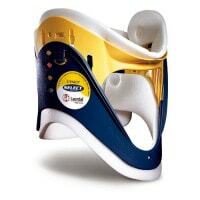 Our first aid equipment includes splint sets, rescue blankets and cervical collars. With the Praxisdienst emergency kit configurator, you can individually fill your emergency bag to suit your needs. Whether for emergency medical services or the general surgery - with our configurator, you can supply the perfect emergency bag for your requirements. Prepared for the worst - true to the motto, our EMS shop offers you everything you need surrounding emergency equipment and supplies. In this category, you will find emergency medical equipment, breathing and intubation accessories, and aids for immobilisation and patient transport. In order to properly handle a patient during an emergency, it is important that the EMS or EMT is equipped with an extensive emergency supply kit. The emergency supply kit should cover the following areas: breathing and oxygen, CPR/reanimation, absorption, diagnostics, intubation, injection/infusion, bandaging materials/wound care, hygiene/self-protection. 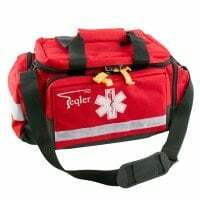 Since most emergency bags and emergency kits are not typically equipped with the full requirements of an EMT or EMS, many doctors and rescue services purchase empty bags and personally fill them to fit their own needs and wishes. At Praxisdienst, there is an immediate, practical and affordable option for individuals to fill their emergency bags and emergency kits - the Emergency configurator. This configurator allows you to fill your emergency bag with the necessary products to fit your requirements. A fill display allows you to customize the bag's contents from the comfort of your home. The emergency configurator gives you the possibility to exclusively fill your emergency bag with the products that you will actually need on a daily basis. With this, you will optimize your use of the bags storage space and simultaneously save on the costs of overflowing products. Gegen einen geringen Aufpreis wird Ihre Notfalltasche bereits von uns gefüllt und gebrauchsfertig an Sie verschickt. For a small surcharge, Praxisdienst will pack your emergency bag for you and sind it to you, ready to use. For emergency care in the workplace, we also carry bandaging kits, first-aid kits and first-aid cases, as well as the compatible refill sets. Our supply is rounded out by a large selection of defibrillators: with the automatic external defibrillator (AED), reanimation procedures can even be carried out by persons without medical knowledge. In our EMS shop, you will find a large selection of emergency supplies for doctors, surgeries or rescue services. 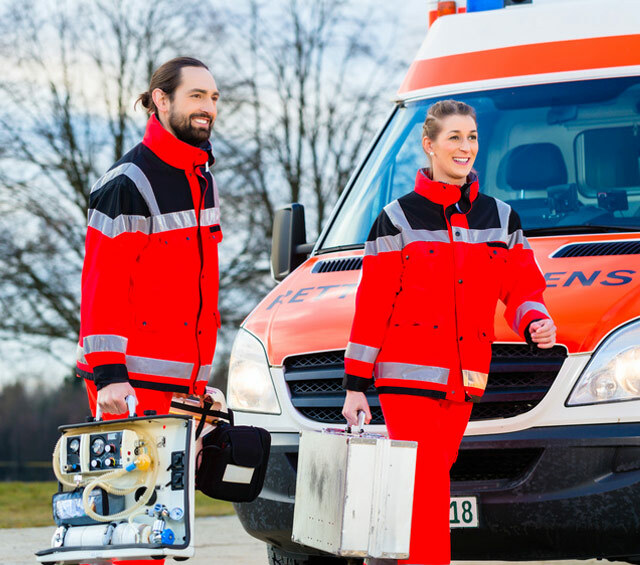 Regardless whether you need a resuscitator, defibrillator, stethoscope, first aid kits or disinfectants, at Praxisdienst, you can purchase emergency equipment, rescue service supplies and diverse accessories for emergency medical services at affordable prices! 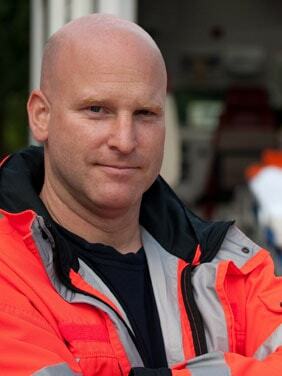 We have compiled our rescue service clothing in our «Clothing/Textiles» subcategory.